i-flex solutions, one of the leading providers of technology solutions for the financial services industry has announced that Kotak Mahindra Bank has chosen to implement 'FLEXCUBE Private Banking' – i-flex's holistic wealth management solution. FLEXCUBE Private Banking will help Kotak Mahindra Bank to manage relationships with high net worth individuals comprehensively. "FLEXCUBE Private Banking gives us the opportunity to address the needs of high net worth individuals comprehensively and also provides us with a competitive edge. 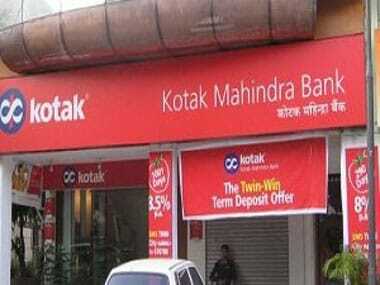 The implementation is in line with Kotak Mahindra Bank's commitment to offer quality service to customers. With FLEXCUBE Private Banking we have added the capability to address and retain specific customer segments. The solution will support a complete range of investment products including mutual funds, insurance deposits etc.," says K V S Manian, group head, retail liabilities and branch banking, Kotak Mahindra Bank. "We are delighted that Kotak Mahindra Bank has chosen FLEXCUBE Private Banking. It will enable the bank to extend its core banking solution seamlessly and increase customer loyalty and service levels. The solution empowers institutions to shift their approach from a 'one-size-fits-all' to a personalised model," says N R K Raman, managing director and CEO, i-flex solutions.